What legacy do I want to leave for my children and the world? At the end of your life, what do you want to look back upon? Is it wealth and a vast business empire? Do you want to leave a string of good works? Do you want to look back on a life full of adventures? How will you have wanted to spend your time? What financial resources do you want to leave behind? What are my values? A lifetime spent living your values will be fulfilling. Most people have a vague notion of what’s important to them, but few take the time to think about it carefully. Pull out a piece of paper and make a list of your values. What do I want to do? Make a list of all the things you want to see and do. Everything from skydiving to walking on the Great Wall of China. Write it down. What type of life do I want to experience? You might desire a conventional marriage and six children with a white picket fence in the suburbs. Or you might like to live in a Manhattan condo by yourself and take full-advantage of the nightlife for the first 20 years of adulthood. What it will take for me to feel successful? Imagine various scenarios and determine what would make you feel successful. Is it living in a cabin in the woods with few responsibilities? Or living in a 15,000-square foot penthouse? Imagine various careers and lifestyles. Which one feels like success to you? What if no one else would ever know? The idea of owning a Ferrari might feel like success, but what if no one else would ever know you owned it? Would you still feel successful? An ideal version of success wouldn’t involve the opinions of others. Search for a version of success that’s meaningful to you, even if others are unaware of your possessions and accomplishments. There is no universal definition of success. It’s important not to fall into the trap of trying to impress your friends and family. Develop a version of success that is meaningful for you, regardless of society’s values. You might find that your version of success is much more enjoyable and easier to attain. How do you define success? 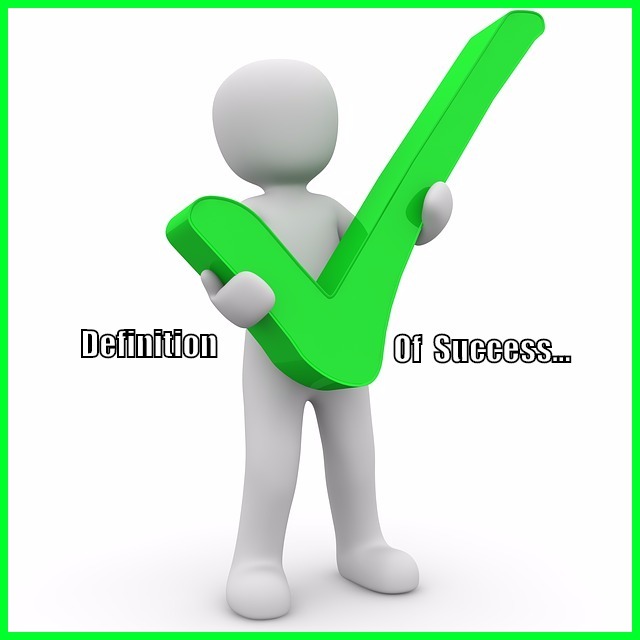 Your own definition will require you to like what you do and how you do it. Will you like the person you’ve become? My Humble Advise: >>> Hurry up, what are you waiting for! – watch Bob Proctor’s Free Video Series on 6 Minutes To Success.